Nothing beats your weekends. Another long week of grueling work, you’re looking forward to two days of pure bliss . It’s Saturday morning and you leap out of bed, jump into your favorite sandals and you’re ready to start your day. Who knows what adventure the day holds? 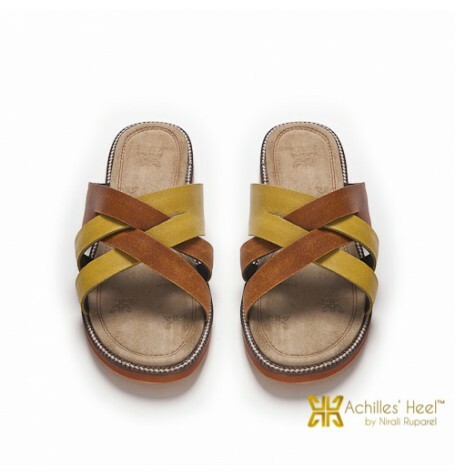 * Rust and yellow ochre crisscross into these leather sandals. The muted sunny hues nicely complement each other and are great for casual wear.